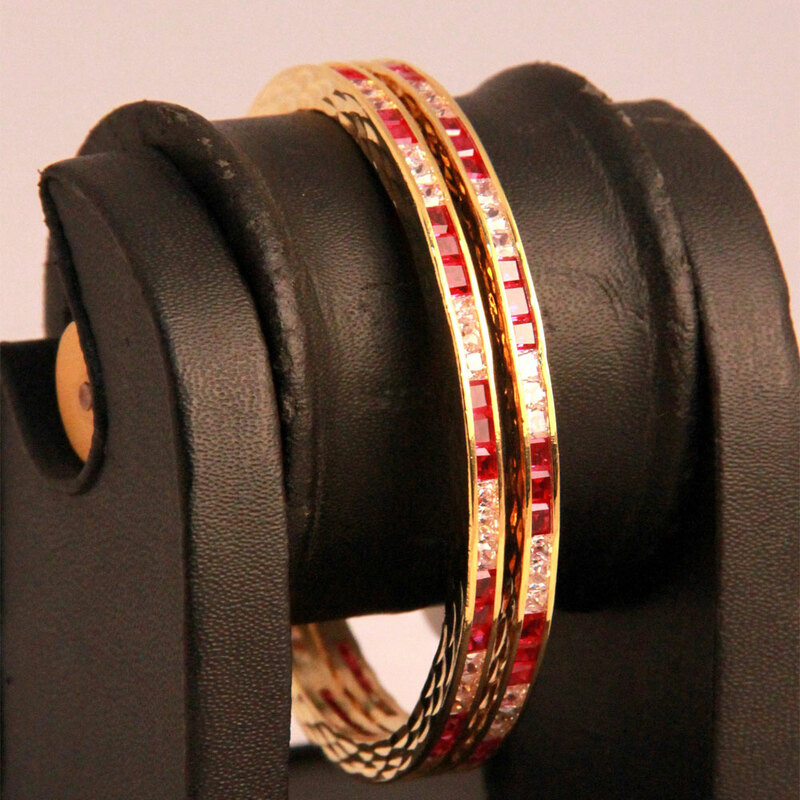 This combine of extraordinarily skinny designer bangles has been fantastically adorned with red and white Ad stones to gift a mesmeric look. This pair of extremely thin designer bangles has been beautifully decorated with red and white Ad stones to present a mesmerizing look. Constructed from base Read More..metal of brass with micro-gold plating, the bangles are available in three sizes of 2.4, 2.6 and 2.8 to fit the wrist of any woman. Show Less..